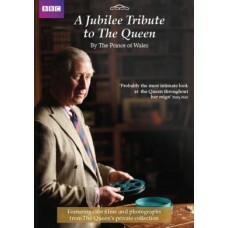 In this unique personal tribute to Her Majesty The Queen, originally shown on BBC One, Prince Charles reflects on various public events and private family moments during the sixty years of The Queen’s reign, and explores previously unseen photographs and cine films from Her Majesty’s private collection – many of them shot by The Queen herself. In some cases, the Prince himself has never watched the footage before. The filming has taken place in the private quarters of Windsor Castle and Balmoral, as well as at Buckingham Palace and Highgrove, under the direction of John Bridcut, who worked with The Prince of Wales on Charles at 60: The Passionate Prince (BBC One 2008) and The Prince and the Composer (BBC Four, 2011). An NTSC version of this DVD (for North America) is planned.